Our client S.W. was stopped at a red light when a drunk driver changed her life forever. A car driven by a drunk bartender with previous convictions for driving under the influence slammed into the back of her vehicle at 50 miles per hour. S.W. was left with severe injuries and needed help paying her mounting medical bills. In addition to compression fractures in her thoracic spine, nerve damage, and ruptured discs, she also had serious injuries to her neck, right shoulder, back, hip, left knee, and left leg. Her mental health was suffering due to the trauma of the drunk driving crash, the stress of losing a job she loved as the result of her injuries, and the pain she had to deal with on a daily basis. Her car was completely totaled, with the front driver’s seat twisted beyond repair, the frame and rood buckled, the trunk smashed into the back seat, the hood buckled, and the back windows shattered. S.W. told us that the area of her car that was most severely damaged was the back seat where her young grandchildren normally rode; she was grateful that they had not been in the car with her that day. S.W. had trouble adjusting to her new disabilities. Formerly an active and enthusiastic worker and grandparent, she now had to rely on her son to drive her around. S.W. had to walk with a cane and use a brace to keep herself upright. While her employer tried to keep her on the books for as long as possible, there was no way for her to continue her physically job as a waitress, and she was eventually left without income. Just holding and playing with her grandchildren was a strain. Bill collectors were calling constantly, and she was considering filing for bankruptcy just to get some financial relief. She had to move out of her rental house to a cheaper subsidized apartment. She ended up taking early retirement since she could no longer work at all. An anterior cervical discectomy and fusion surgery, obtained after years of non-surgical treatments failed to fix the problem, helped our client's pain but did not help her maintain enough functionality to go back to work. In this procedure, a surgeon removed the damaged disc between her vertebrae and filled the open space with a bone graft. This surgical procedure decompressed the painfully irritated nerve roots of her spine. S.W. had some help available from the Washington State Crime Victims Compensation program, but it wasn’t nearly enough to pay all of her bills. Davis Law Group’s investigation found that the defendant driver, whose blood alcohol content tested at 0.204 after she hit our client, had two previous DUIs on her record. She was supposed to only be allowed to drive a vehicle with an electronic breathalyzer installed, but she was driving her mother’s vehicle instead. Despite her repeated violations, she was working as a bartender and the state of Washington had not pulled her license to serve alcohol. 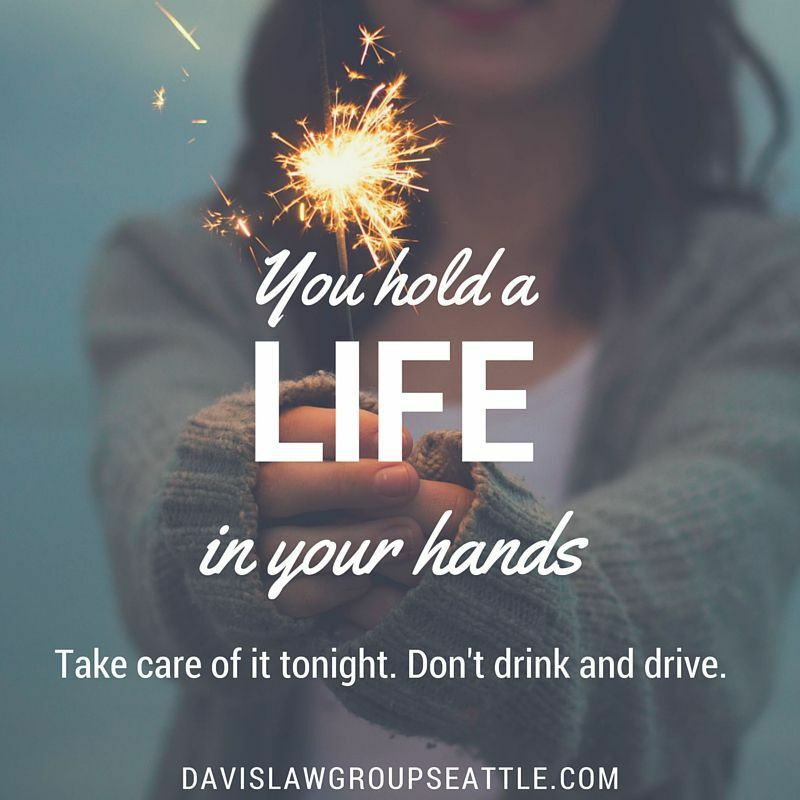 Because the defendant driver had been drinking at the restaurant where she worked, Davis Law Group was able to go after not only that driver’s insurance, but the insurance of that restaurant. Under Washington State’s dram shop laws, an establishment that serves alcohol may be held responsible for damages if someone who was drinking there gets behind the wheel and ends up causing an accident. When insurance adjusters were delaying our client’s settlement, Davis Law Group filed suit against the defendant driver and the restaurant that had served her. We were able to recover $582,962 for Sally’s medical expenses, lost income, and the continuing care that she will need as the result of one drunk driver’s poor decisions.